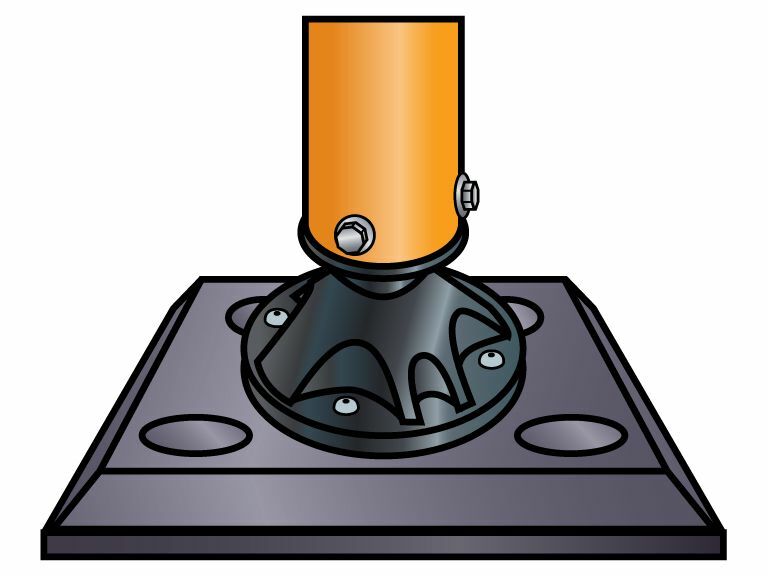 Our 48 inch Gorilla Post Fixed Base delineator rests on a sturdy, 8-inch-square, plastic base with a 1 inch thickness. Four bolts tighten down with an Allen Wrench to secure the GorillaPost to the base. The base is permanently glued to concrete or asphalt. To remove the post, the 4 bolts need to be loosened. This delineator is perfect for marking off restricted areas and its flexible design makes it possible to be hit and stay standing.